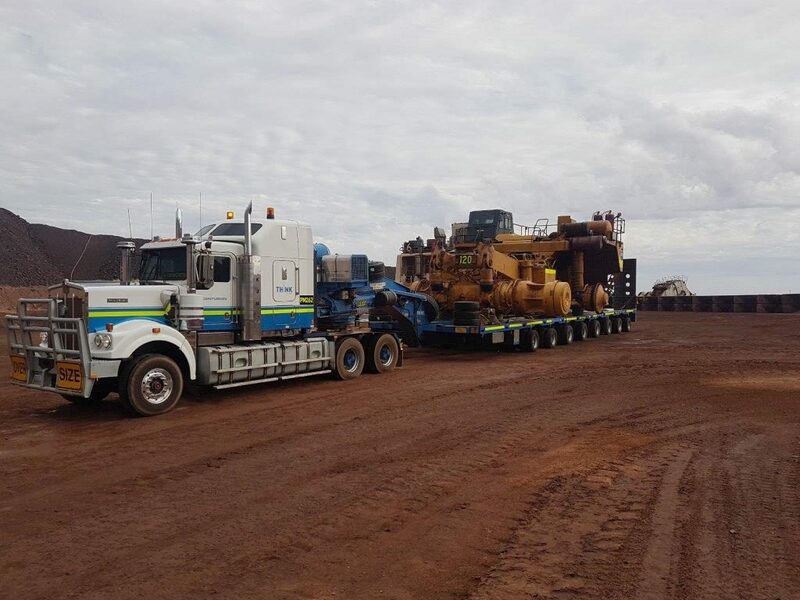 Centurion’s Queensland and South Australia heavy haulage teams have just completed a massive heavy haulage contract as part of a major demobilisation from OzMinerals Prominent Hill mine in South Australia. Working for major global mining services provider Thiess, the scope of Centurion’s work was to safely and efficiently relocate five CAT 793 Dump Trucks and two Liebherr 996 Excavators from Prominent Hill SA to the Mount Pleasant Mine in Muswellbrook NSW, and one 996 from Prominent Hill to Peak Downs in Queensland. 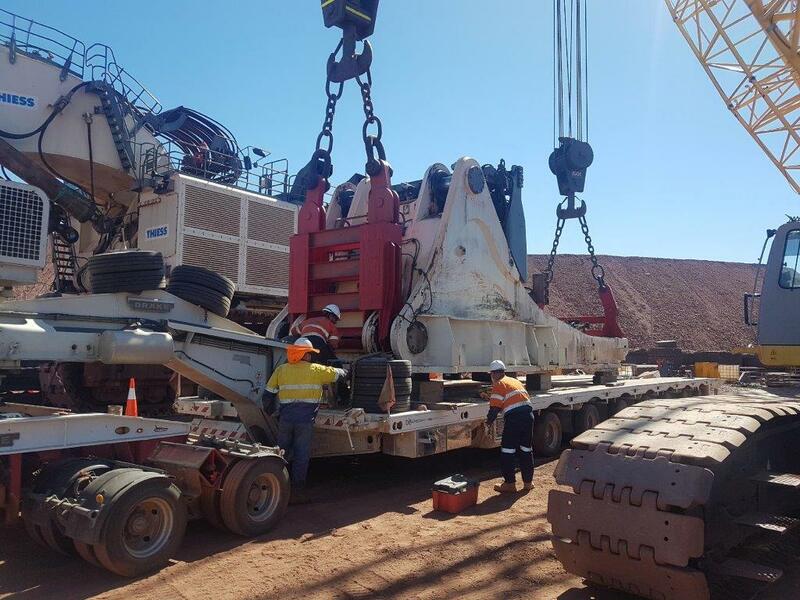 The project requirements also included the relocation of two large cranes to the Prominent Hill site; a 250T Crawler Crane from Western Australia and another 150T Crawler Crane from Darwin. The decommissioning logistics included 62 loads in total covering a massive 260,400kms with more than 4,600 in cab hours worked. Centurion used a variety of specialist equipment for the move including Kenworth, Mack and Freightliner Prime Movers, Drake Platform Trailers and Low Loaders as well as Centurion’s state of the art tyre trailers. A number of contractors were also used as part of the move. Planning for the work was carried out by Jason Carnes, Centurion’s Divisional Manager Heavy Haulage East who liaised with relevant authorities and scheduled fleet requirements around each machine as it was stripped and decommissioned on site minimising trailer and truck downtime. The moves were completed on time and within budget over an 8 week period with no injuries. “This was a significant logistical exercise for us where we needed to work closely with both our clients and other contractors involved in the move to ensure delivery of the equipment on time and without any issues,” Mr Carnes said. “Centurion only recently set up its east coast operation but the company has tapped into pre-existing industry expertise to ensure we are delivering the highest level of service to our valued customers. “Feedback from our client in Prominent Hill was that they were very pleased with the professional way we managed this project, and the efforts of our supervisor, drivers and contractors involved were much appreciated,” Mr Carnes concluded.